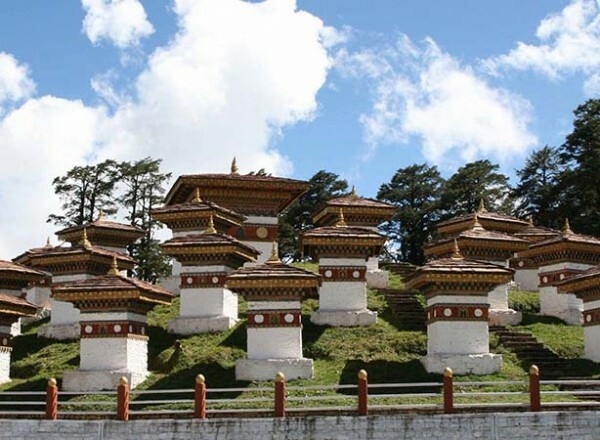 This is another short trip to Bhutan which includes best sightseeing palces including Paro valley,Thimpu, also the capital of Bhutan,Punakha and Wangdue Phodrang which are another beautiful towns of bhutan with full or greenery and monastries.Today we will also cross Dochula Pass (3150 m) while driving. The first thing you will notice as you disembark is the transparent purity of air and the absence of noise. 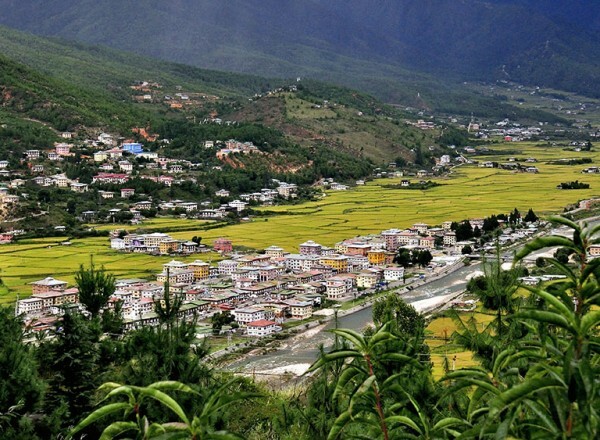 The Paro valley has kept its bucolic nature inspite of the airport and the existence of development projects. Fields, brown or green depending on the season, cover most of the valley floor, while hamlets and isolated farms dot the countryside. The houses of Paro valley are considered to be among the most beautiful in the country. 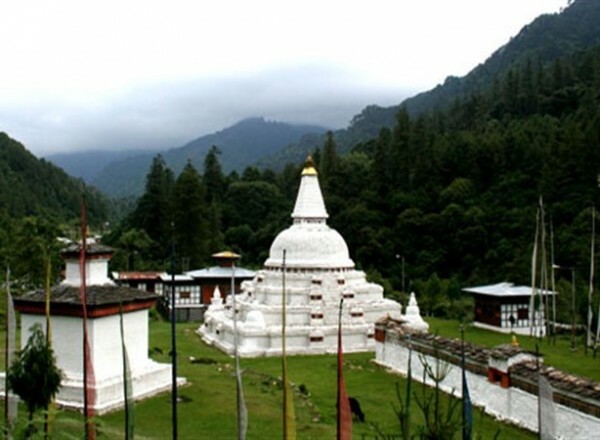 Paro is believed to be one of the first valleys to have received the imprint of Buddhism. Afternoon: Visit the National Museum (Ta-Dzong). Once the watchtower for the Rinpung Dzong, it was converted into the National Museum in 1968. The museum stands on a promontory overlooking the Paro valley in all its glory. Visit the Paro Rinpung Dzong. A flagstone path rises gradually from a beautiful wooden bridge with shingle roofing and abutted by two guardhouses, to the Dzong. Today, the Dzong is the seat of the district administration as well as the home for the monastic school. The central tower (Utse) of the Dzong, with its superb woodwork, is one of the most beautiful in the nation. The Dzong was built in 1645 A.D.Check in at Hotel. After breakfast transfer to Punakha/Wangdue. En-route stop at Dochula Pass (3150 m), 30 km from Thimphu, for tea and biscuits and enjoy a view of the Eastern Himalayan Mountains. From Dochula to Wangdue, it’s another two hours drive. Wangdue Phodrang Dzong is perched on a spur at the confluence of 02 rivers. The position of the Dzong is remarkable as it completely covers the spur and commands an impressive view over both the north-south and east-west roads. 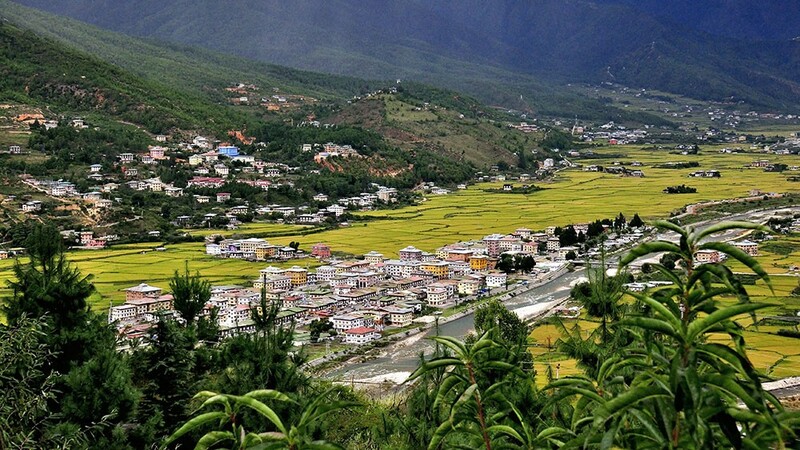 The main road climbs the length of the spur and on the left, across the river, comes the first glimpse of the picturesque village of Rinchengang whose inhabitants are celebrated stonemasons. After lunch in Lobesa, visit the Punakha Dzong. This is the winter residence of Bhutan’s spiritual leader, the Head Abbot, and the Central Monastic Body. The Dzong is built between two rivers known as “Phochu” (Male River) and “Mochu” (Female River).Check into Hotel. After breakfast drive to Metshina. On a hillock in the center of the valley below Metshina is Chimi Lhakhang (Fertility Monastery), built by lama Drukpa Kunley in 1499. He subdued the demoness of the Dochu la with his ‘magic thunderbolt of wisdom.’ A wooden effigy of the Lamas thunderbolt is preserved in the Lhakhang, and childless women go to the temple to receive a wang (blessing) from the saint. It’s a 20-minute walk across the rice fields from the road at Sopsokha to the temple. The trail leads across rice fields to the tiny settlement of Pana. There are very few monks at the temple which is surrounded by a row of prayer wheels and some very beautiful slate carvings.Continue drive to Thimphu across the Dochu la pass. Afternoon drive to Paro. After breakfast Transfer to Paro for 03 hrs hike to the Taktsang Monastery.Taktsang is the most famous of all Bhutanese monasteries. It is perched on the side of a cliff 900 m above the floor of the Paro valley, where the only sounds are the murmurs of the wind, and water and the chanting of the monks. The name Taktsang means ‘Tigers Nest’; the Guru is said to have flown on the back of a tigress to the site of the monastery where he meditated in a cave for three months. The monastery itself is closed to tourists except by special permit. However the one-hour walk to the viewpoint, where there is a small wooden teahouse provides a close-up view of the monastery. Our guide will transfer to Airport for your departure and say good bye.